Pyrite is back in the news this week. Pyrite has been in the news, on and off, for almost 10 years. The problem was so big that the government pushed through unpopular regulations that it said would prevent a reoccurrence (see link here). Perhaps Phil Hogan (or his Departmental advisors) thought that suppliers would shape up because someone was watching more closely or because construction products have to carry a CE label (Yes, even a lorry load of loose gravel). Perhaps what they really meant to say (but couldn’t) is that there might still be outbreaks of pyrite but that homeowners could at least get it fixed quickly: Under their new regulations (BCAR SI.9) a home cannot be occupied until an architect or engineer signs off and this means warranting 100% that all of the building materials are “proper” and free of defects. Phil Hogan actually said so- “If anyone signs a statutory certificate for a building which subsequently proves to be non-compliant, they can be held legally liable for the consequences”. He’s right and legal opinion backs him up by saying liability for defective materials falls back on the person who signs the certificate. The surveyor, engineer or architect. Perhaps this is the pyrite protection that the Department of the Environment intended for homeowners. A guarantee. A Certificate. A one stop shop for remedying the problem quickly. If you are now thinking that that’s a good thing for homeowners, (and maybe a very bad thing for surveyors, architects and engineers), think again. 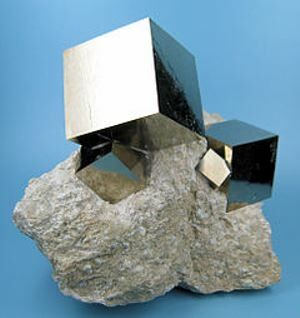 Professionals don’t have insurance for pyrite damage. It’s not even available, because architects and engineers don’t own the quarries. They don’t even order the delivery. They don’t check what’s in the lorry. Or on the CE label. So if you buy a new home this year or in the future, you may be no better off than the homeowners in Mayo who were promised a solution that the Department hasn’t even got off the ground yet (see link here) or the homeowners in Dublin who are still in the courts years later (see link here) or the developers who are now awaiting the outcome of a legal case that’s gone all the way to Europe. A case that six years ago was even then “on its way to becoming the longest running and most expensive court case in the history of the State” (see link here). When it comes to pyrite BCAR SI.9 has all the hallmarks of a ‘political solution’. Under the Construction Products Regulations, S.I. No. 225 of 2013, the Department of the Environment must undertake market surveillance measures in respect of construction aggregates and are answerable to Brussels. Is it time for the State to meet their own obligations, not just protect the EU market but also to protect homebuyers, instead of relying on a paper trail which does nothing to prevent recurring problems with pyrite, Chinese chipboard, fire safety glass and other defective materials. Ten years and counting. Remarkably, the pyrite problem still isn’t fixed. ‘The Money Pit’ | 5 pyrite homes re-mediated at a cost of €2.2m. This entry was posted in Building Regulations on April 4, 2016 by BRegs Admin. The government lack of action on pyrite is discracefull and a clear failure to comply with eu law. BCAR is destined for failure without goverment taking on real role. Imagine if the BCAR solution was applied elsewhere. Imagine if the law required accountants to certify tax compliance with no risk of revenue audit. Imagine if it were left to your GP to certify your entire health care down to the aspirin you use. On the first case an honest accountant would not be long in a job. In the second the GP would be collecting paper all day rather than actually checking on patients. BCAR is like making a pub owner hire a bouncer and sacking all the guards then holding the bouncer responsible when a drunk driver kills someone.